Precious metals moved forward on almost every day this week as things seem to keep going in their favor recently. The big news, of course, was this week’s hosting the June FOMC policy meeting, but apart from that there was plenty else for investors to focus on. 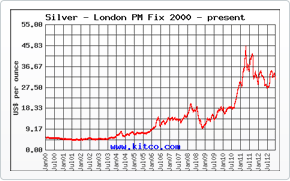 As we move forward, it will be interesting to see just how well gold and silver can perform. We are in the midst of the biggest rally we have seen in quite some time and, in the past two weeks alone, gold has gained more than 6%. These figures are unseen and quite contrary to what we witnessed throughout most of the Spring. In addition to the FOMC meeting this week, the market was preoccupied with economic data from the United States as well as an upcoming referendum that may result in the United Kingdom departing the European Union. As you might have expected, this is a fairly large and potentially markets-moving vote, so it is currently at the focal point of the market’s attention. As expected, Wednesday brought about no changes to policy meeting by the time the FOMC finished up their meeting and the post-meeting speech was delivered. Members of the Fed expressed the need for caution when it comes to interest rate hikes, and did not really specify when we might be expected to see rates hiked again. This is perhaps the thing that resonates with investors most, because even when the Fed leaves rates untouched, they have typically provided a little bit of insight as to when rates might be hiked in the future. This time around investors were not so lucky. Naturally, this inaction on the part of the Fed gave gold and silver a modest boost during the middle of the week. With that said, however, the boost given to precious metals was very small because mostly everyone had come to terms with the fact that rates would not be raised this time around. The likelihood of a July rate hike seems to have also taken a large hit as a result of the Fed keeping rates steady. While only a few weeks ago polled investors put the likelihood rates would be raised in July at almost 60%, that same likelihood has now fallen to right around 10%. There are many people now who would not be at all surprised if we only saw one more interest rate hike before the year is through. Apart from the FOMC meeting, the market was paying close attention to some economic data released by the United States. First was a retail sales report from May which actually indicated sales that exceeded the expectations of the market. This was upbeat, but clearly did little to alter the way in which the Fed feels about hiking rates this month. On Thursday, it was reported that first-time claims for unemployment benefits last week came in 13,000 more than the week before. This brought the seasonally-adjusted average number of claims closer to 300,000 and provided even more underlying support for precious metals. As the weeks move on, the weekly jobless claims report will be closely eyed as it is one of the key pieces of data thought to have a big impact on whether or not rates are raised by the Fed. The other big story lending support to gold and silver is the potential for a United Kingdom exit from the European Union. During one of the last days of the month, UK citizens will vote on whether they want to remain part of the EU or venture out on their own. The reason it is helping gold and silver so much is due to the fact that popular opinion holds that Britain’s days in the EU are numbered. What we mean by this is that most people anticipate that the UK will, in fact, depart the EU. For gold and silver, the likelihood that the UK will leave the EU is great because no one is quite sure what will happen to the global marketplace should the UK depart. This alone is helping drive safe-haven demand forward.